Many people have their own methods of smoking weed with much of it being influenced by how they were introduced to it in the first place. One of the most common methods of smoking weed is by mixing it up with tobacco and then rolling it up together in a thin peice of paper. The finished product is known as a Joint. Other common names for a joint include Spliff and Zoot. 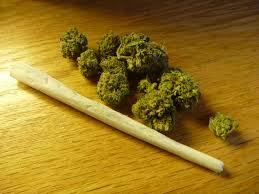 Below you can see a video showing you how to role a spliff from start to finish.